President Donald Trump’s decision to recognize Jerusalem as Israel’s capital infuriated the Palestinians, who declared that Washington could no longer play a role as peace broker. 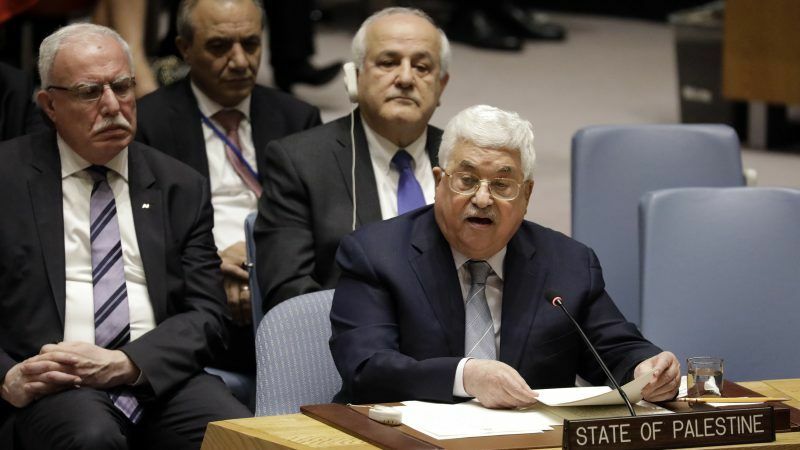 “To solve the Palestine question, it is essential to establish a multilateral international mechanism emanating from an international conference,” Abbas said. Abbas said the conference would be attended by Israel and the Palestinians, regional players, the five permanent Security Council members — Britain, China, France, Russia and the United States — and the diplomatic Quartet comprised of the European Union, Russia, the United States and the United Nations. The Palestinian leader immediately left the council chamber following his address, leading Israeli Ambassador Danny Danon to complain that Abbas was “running away” from dialogue. “They talked about the progress in their efforts and contacts, and this was useful,” said French Ambassador François Delattre. France, which hosted a Middle East peace conference in Paris last year, is ready to examine Abbas’s proposal for a revamped approach, but this “would not cast doubt” over the “indispensable” role of the United States, Delattre told the council. The United Nations granted Palestine non-member observer state status in 2012, but an upgrade to full membership would require unanimous backing from the Security Council — an unlikely outcome, given the near-certainty of a US veto.